Ever since season 2 was announced to be starring clementine there's been something that's felt off to me. I couldn't put my finger on it but I think I know why now. See to me, season 1's ending worked so well against all the misery and heartache that came before because it has one vital thing. It had hope. Hope that maybe things would work out ok for that one little girl. Hope that somehow in some way one young girl would find a way to survive and truly live in the face of death and insanity. By having clementine in season 2 at all, let alone a lead role of all things destroys that one silver lining. There is no hope. That's what season 2 intones with every horrible thing that will fall on poor clementine. Lee died to give her more hell. The walking dead is an inherently depressing series. A series that tells us that in the face of death and overwhelming odds humanity will collapse and fall apart and consume itself out of greed and paranoia. That one note gets tiresome and the game stood out for me because even though it was true to that theme it still gave us one silver lining. I'd have much preferred a new cast like in the 400 days and leave clementine's fate a mystery, if only to maintain that one sliver of hope. So basically, S2 E1 was so well done that you disliked it??? To me, I think it was playing from the perspective of an outsider for the duration of Episode 1 which polarized people. I thought outside of the dog scene and the ending, there weren't a lot of challenging moral issues that had focused in particular on your relationship with survivors like in Season 1 Episode 1. That wasn't to say it wasn't good - I thought the episode was great - but most of the episode was spent as an outsider getting people to trust you rather than forming relationships with them and solving moral dilemmas. Season 1 Episode 1 also had more variety in choices and locations, while in Season 2 Episode 1, you had to mainly spend time getting people to trust you at the cabin. Again, I still liked the episode, but the main focus of aqquring trust for the episode instead of a smaller focus on several choices/issues probably threw some people off. 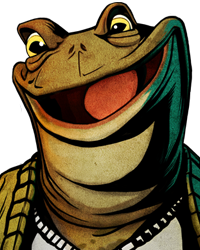 I also think Telltale can easily take the theme of trust in some cool places now that we know the group better at the end of Episode 1. That is my two cents anyways. I think you're right. That's the major difference I noticed about these two episodes. Clementine is still alive. I would say that makes it still hopeful. Hope that somehow in some way one young girl would find a way to survive and truly live in the face of death and insanity. Isn't this precisely what she's doing in Season 2? The game is different in that regard. Season 1 ended with hope. I can only hope Season 2 will as well. I'm looking forward to a happy ending. We can't have Lee dying for nothing. But to get to that ending, things are going to have to get a lot more bleak. A happy ending is pointless if we don't feel like we've earned it, and also, the threat of Clementines unhappiness is a powerful tool that you can expect them to use to full effect. I hope you keep your anti-depressants handy. This. The story can and should be bleak but there really needs to be some kind of happy ending for Clementine or all the efforts of Season 1 will have been completely futile. I'm looking forward to a happy ending. We can't have Lee dying for nothing. But to get to that ending, things are going to have to g… moreet a lot more bleak. A happy ending is pointless if we don't feel like we've earned it, and also, the threat of Clementines unhappiness is a powerful tool that you can expect them to use to full effect. I hope you keep your anti-depressants handy. I wouldn't say TTG took away the sense of hope a player gets from the ending of Season 1. 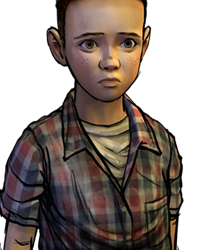 Rather, by letting us play as Clementine instead of having her story left a mystery or revealed in the stories of unrelated characters, it's more like TTG is giving us the opportunity to make our own hope for Clementine. 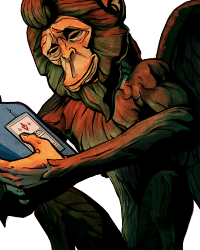 Every QTE you succeed in, every time you make a call that makes life easier for Clementine, you're carrying on Lee's will to keep her safe in the best possible way; direct intervention. We are Clem, and if anyone is going to bring about a happy ending for her it has to be us. I find it kind of awesome, personally; it's the kind of experience that can only exist in a video game. What better way is there to be invested in a beloved character's future than by being handed the reigns? Of course, you could make an argument for hope being lost if she's scripted to die, but there's no way of knowing that yet. Ideally I'd like her ultimate fate to be decided by decisions made by the player; who you trust, how capable Clem has been made by past experiences, etc. I've heard that Season 2 will have more branching paths and a story that's founded more on player choice, so I'm hopeful something like that will be the case. No dice. Hope exists in The Walking Dead just long enough for its creators to destroy it. Yup. I don't know why people always assume that ABSOLUTELY EVERYONE INCLUDING ALL PLAYABLE CHARACTERS will die at some point in TWD just because Kirkman has killed off a couple of lovable characters. For all we know Kirkman could have a good ending in mind, after all didn't he already say that Carl will be the one that survives the entire thing? Why can't the same be for Clementine?. 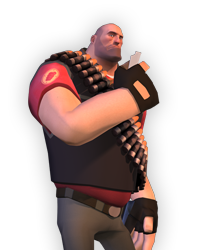 You must be one of those guys who thinks grimdark is what all art needs to be. The game seems different. Season 1 ended with hope and maybe Season 2 can as well. I understand your argument but at the same time, I disagree. 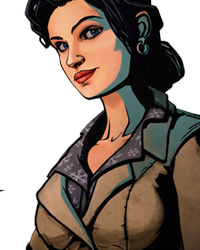 I still have hope for Clementine and even though things are dark, I don't mind seeing more of her story. I agree that playing as her is kind of crappy (especially considering how young she is and she is definitely weaker than any adult character), but at the same time, there is nothing wrong with concluding the story of her character (or anyone else's story). Think about it: people are still wondering about Kenny just like how they would have been if they hadn't shown Christa or Omid or Clementine this season. And Molly too. I prefer just to know, and its no harm done if the game is good and the storyline is decent. Plus its only been one episode, anyway. Its kind of rushing to conclusions when we've all only played one episode of the game. I do prefer it when they treat everything as "the world is coming too an end," rather than "the world has changed." I like the fact that every group falls apart eventually. Death always wins. But happy endings are nice too. Yup. 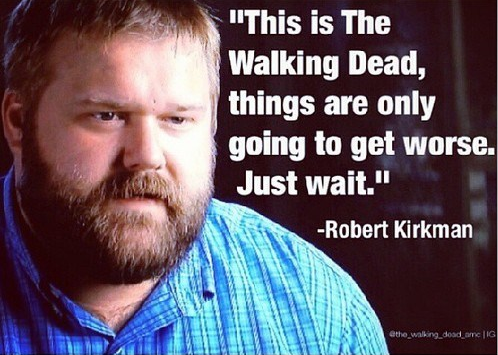 I don't know why people always assume that ABSOLUTELY EVERYONE INCLUDING ALL PLAYABLE CHARACTERS will die at some point in TWD … morejust because Kirkman has killed off a couple of lovable characters. For all we know Kirkman could have a good ending in mind, after all didn't he already say that Carl will be the one that survives the entire thing? Why can't the same be for Clementine?. I understand your argument but at the same time, I disagree. 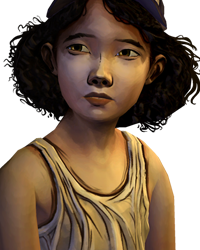 I still have hope for Clementine and even though things are dark, I don… more't mind seeing more of her story. I agree that playing as her is kind of crappy (especially considering how young she is and she is definitely weaker than any adult character), but at the same time, there is nothing wrong with concluding the story of her character (or anyone else's story). 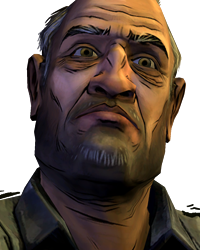 Think about it: people are still wondering about Kenny just like how they would have been if they hadn't shown Christa or Omid or Clementine this season. And Molly too. I prefer just to know, and its no harm done if the game is good and the storyline is decent. Plus its only been one episode, anyway. Its kind of rushing to conclusions when we've all only played one episode of the game. To clarify I haven't actually played episode 1 outside of the demo opening. A lot of this is limited purely to me I suppose. I don't mind darkness and misery in a zombie story but I don't know, isn't there any beauty in hope forming in unexpected places? 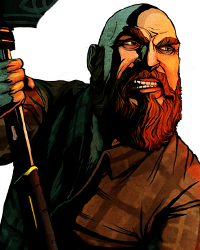 Everything in the walking dead is so relentless grim, from the comics to the show and now the game itself. I get the story has to be dark and grim and ugly because that's what the walking dead is but it gets to be so much that it tires me out by the end. It also feels a little simplistic in it's storytelling. Anyone can tell a depressing story. That's easy. But finding a light in the darkest places, that's storytelling I respect. Walking Dead season 1 worked so damn well for me because there WAS a light in the darkness. Among children dying and people becoming cannibals and old men getting their heads smashed in there was a glimmer of hope in the form of clementine. She looked up to you and wanted to learn to be strong even though Lee knew and even she knew that it meant sacrificing her childhood. That final sequence with Lee is gut wrenching because there that little girl is, struggling to get the keys off a zombie man and you're powerless to do anything. Controlling clementine properly felt wrong to me. It felt wrong because I felt like even from what little I played in the demo that Lee would be ashamed of what she's had to become. Lee would sooner not know what became of her and I think I feel the same way. Season 1 was about a bond formed in hell that saved two souls from damnation. Season 2 is a grim story about a young woman doing miserable things because the story gods want to torture her. I may be alone in this feeling, but I don't think season 2 is a story I want to see and at this point I have no desire to pay to see it take place. You know, I realize that this kind of answer gets thrown around a lot in relation to The Walking Dead but....it's The Walking Dead! If hope is what you're looking for, you're probably looking in the wrong place. I get what you mean, though, about season one as opposed to season two, but I also think it is too early to judge the entire season based on a single episode out of five. It is entirely possible that Clementine will find someone or something that will provide her with some measure of hope at some point during the season. But I'm fairly certain that life is going to continue being a struggle for her because there is really no way to avoid that in this world. I generally dislike endings with no closure. 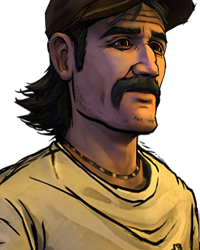 I would have hated if they just ended Clem's story at season 1. It felt wrong because I felt like even from what little I played in the demo that Lee would be ashamed of what she's had to become. He'd certainly be upset to see her go through what she's had to go through, but I wouldn't say that he'd be ashamed of what she's become. In fact, I think he'd be rather proud to see the little girl he helped raise become someone who can stand on her own two feet and bravely face down the world that he couldn't protect her from. Remember the last compliment he paid to her. "You're strong, Clem. You can do anything." You get to see a lot more of that strength in Season 2. Season 1 was about a bond formed in hell that saved two souls from damnation. Season 2 is a grim story about a young woman doing miserable things because the story gods want to torture her. One of those souls is still in that hell. And she's fighting with all of her strength to keep herself alive, both inside and out, in spite of the miserable things that the story gods torture her with. I don't think Season 2 this is simply a depressing story. I think it's a story of struggle against seemingly insurmountable odds. Clem's journey this season is going to hurt her, it's going to scar her, it's going to push her to her limits and beyond. But it's not going to break her. Not if I have anything to say about it. Hope that somehow in some way one young girl would find a way to survive and truly live in the face of death and insanity. Isn't this precisely what she's doing in Season 2? Good way of putting it. 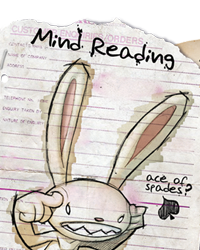 The conflict of trying to survive by yourself was an establishing moment for Clementine's character, but it didn't grant as much time for the slow build-up to decisions involving the new group members. Now that the new group is set up, I'd like to see the next episode have some downtime with them before tension picks up again. Good thing there's still 4 more episodes. An overwhelming amount of tragedy makes the "hope" and peace so much more enjoyable. Amen, but the trailer did not put much hope in my mind. I just wanna have a peaceful sit-down with Luke and Alvin and hold a Seinfeldian conversation for a few minutes, you know? It's more of a changed world than an ending world isn't it? The walkers won't last forever. Sure the threat will always be there with new people dying but things should start to stabilize after a few years when the main body of walkers has withered away. I agree, I think it's nice to see how strong Clementine is, and what a survivor she has become thanks to Lee's teachings. Just because she's hardened by all she's experienced doesn't mean she's not the same person at heart. Without hope the whole story seems kind of pointless, but asking for things to not be one hell of a struggle is just not right. You know, I realize that this kind of answer gets thrown around a lot in relation to The Walking Dead but....it's The Walking Dead! … moreIf hope is what you're looking for, you're probably looking in the wrong place. I get what you mean, though, about season one as opposed to season two, but I also think it is too early to judge the entire season based on a single episode out of five. It is entirely possible that Clementine will find someone or something that will provide her with some measure of hope at some point during the season. But I'm fairly certain that life is going to continue being a struggle for her because there is really no way to avoid that in this world. 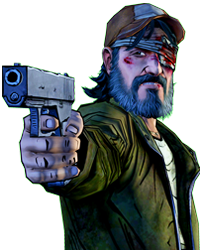 Personally I'd want to play as someone new in Season 3 whether Clem survives or not. It's nice to be her for now, but I'd want to explore the apocalypse from a different perspective in the next season. 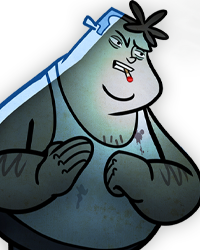 I wouldn't mind an anti-hero, for example... Maybe someone like Nate. 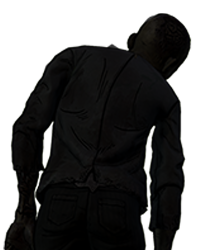 Given that anyone who dies, from a bite or otherwise, becomes a walker no matter what... let's just say that things are going downhill fast. They need to find a cure or something because waiting for the walkers to die out won't work so long as there are humans around. The walkers are like a virus; it only takes one death to bring down a group. Just one person fading away in their sleep or someone falling and hitting their heads. All the precautions in the world won't save us from simple human error. It's more of a changed world than an ending world isn't it? The walkers won't last forever. Sure the threat will always be there wit… moreh new people dying but things should start to stabilize after a few years when the main body of walkers has withered away. Nah, with time people learn to handle it. And the walkers should decrease massively in number once the initial ones decay. Aren't enough humans around to keep up their numbers. 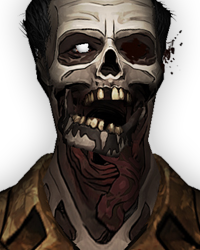 Given that anyone who dies, from a bite or otherwise, becomes a walker no matter what... let's just say that things are going downhi… morell fast. They need to find a cure or something because waiting for the walkers to die out won't work so long as there are humans around. The walkers are like a virus; it only takes one death to bring down a group. Just one person fading away in their sleep or someone falling and hitting their heads. All the precautions in the world won't save us from simple human error. At the risk of sounding a bit too philosophical, I see The Walking Dead as a metaphor of life in general. Sometimes there's hope, other times there's not. All the characters can do is just keep pushing on until the end. The moral issues that come up bring out the true colors of each of the characters, whether good or bad. There's a lot of death in the series, but death is part of life. The zombies just act as a catalyst to speed things along. In that regard, I don't see the hope in that things will get better so much as the hope in the fighting spirit of humanity itself. It's not like I'd hate playing as Clem again. 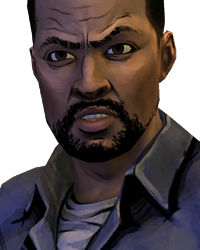 It's just that I like TWD's current pattern of having a different protagonist in different seasons. It reminds me of Game of Thrones, in that you see its universe from many, very different perspectives. 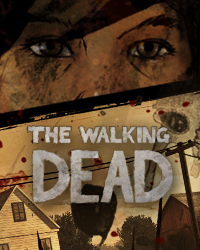 I wouldn't really want TWD spin-off games at all, really. Chances are it'd be about as long as 400 Days, and while I liked 400 Days, it's a little short for a self-contained story. By that time there won't be enough humans around to keep up our numbers either.